Late night suppers sound romantic until you add doing dishes after nine 0'clock in the evening. 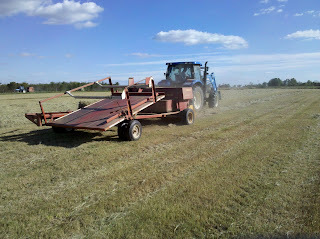 My kitchen schedule this week has required late night chores due to our fall hay harvest schedule. Utilizing our farm land to produce quality hay is an economic asset to our farming operation and provides nutritional benefits to our young calves. Yesterday's hay was wrapped into small square bales that will be fed to our young calves. As I was watching the baler tie a bale of hay and push the bale onto the accumulator, I was also listening to the rhythmic noise the machine made like the clickety-clack of a railroad track. Ten bales are pushed onto the accumulator platform then dumped onto the field. 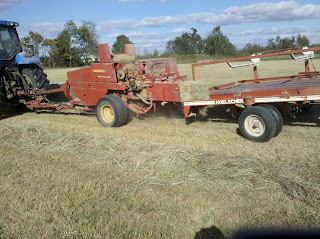 My oldest son then hauled the bales to the trailer. Farming is truly a fascinating occupation with all of the technology,innovation and most of all--the farmer's love of the land. 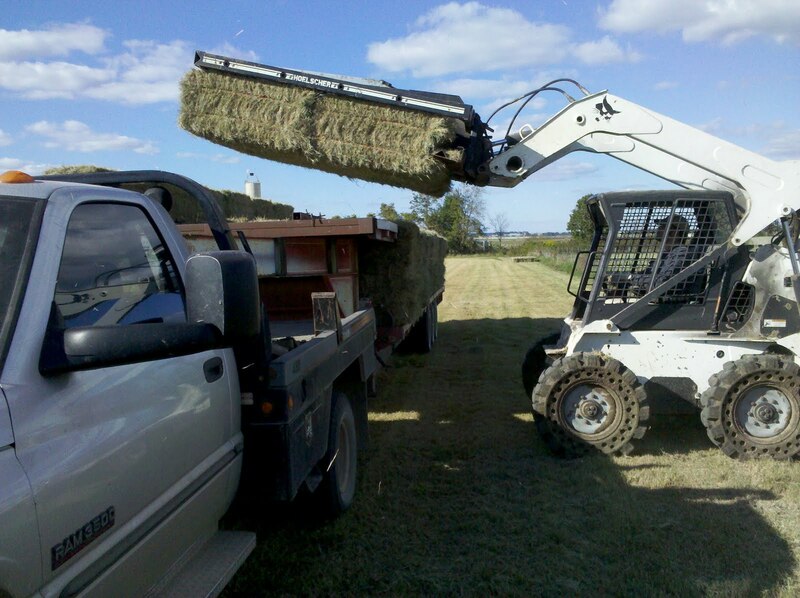 Each season on the farm brings new tasks along with the daily dairy farm chores but in each task there is reward. Fall brings crisp cool air,brilliant color in the flowers, and a thankful heart for the blessings of the harvest. Happy Fall,Ya'll!